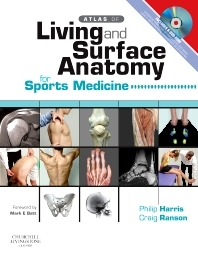 This title is a comprehensive, highly illustrated atlas of human living and surface anatomy for effective physical examination of sports injuries. It covers normal surface and living human anatomy on a regional basis in sufficient depth to facilitate effective physical examination and manipulative techniques. Full colour photographs of anatomy and skeletal parts show how to locate and identify structures. Detailed methodology on how to locate structures, how to palpate them, how to test muscle actions and joint movements and how to detect derangements. The inclusion of photographs of relevant bony structures and prosections of specific parts of the body to assist in identifying features in the living subject is a unique feature. Problem-solving case studies employing knowledge of living anatomy. Presently submitting for PhD Physiotherapy co-ordinator for the England & Wales Cricket Board, previously physiotherapist for the Derbyshire Cricket Club.